Today I’m onto my second Bloggers and Bags post for the year and I’m taking a looksee into the ever so sweet Lauren that blog’s over at Cool Kids Only. Lauren is one of the most humble bloggers that I’ve met in a long time and I’ve been dying to peek into this Fashion Loving girl’s handbag. Firstly, a huge thank you to Tasneem for asking me to be part of such a super cool series on her amazing blog. 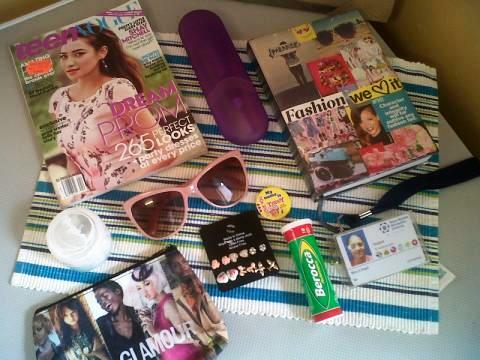 Although I am not exactly sure my bag and its contents are blog worthy LOL, I am certainly very happy to share it. 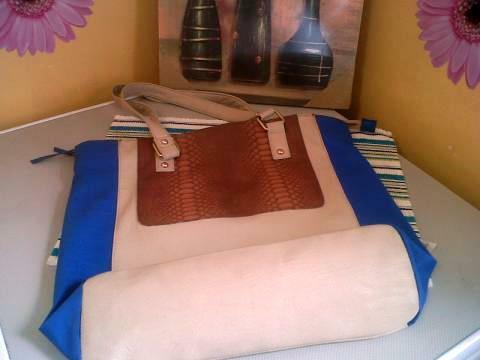 I bought this bag late last year at Fashion Express mainly because of my slight obsession with cobalt blue. I also love the size of it and the faux snakeskin detail. If you know me very well, you know how much of a neat freak and I try keep my bag as tidy as I possibly can, which is not always the easiest thing with a 3 year old. Nevertheless, let’s move on to what I keep in my bag on a day to day basis. I always have a magazine in my bag. It helps me a lot when I am bored but it is also a great source of inspiration as a blogger. That’s pretty tidy right? I try to stick to the same principle when it comes to my make up bag. As you can see I have some commitment issues when it comes to what I put on my lips. I sincerely hope you enjoyed taking a look inside my bag. I, for one, had an awesome time partaking in this series. 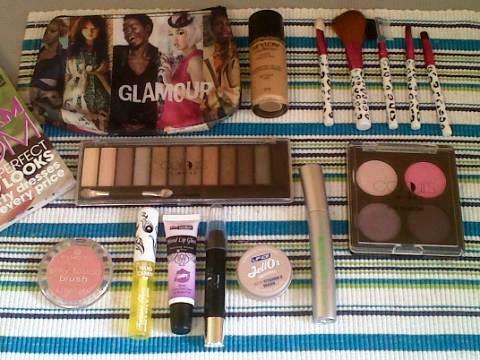 Tags: Beauty Blogger, blog, Blogger Love, Bloggers, Bloggers and Bags, Handbag, Handbag Essential, Handbag Must Have, Make up bag must have, Make-Up, Make-up Brushes, Miss Signature, Revlon. Bookmark the permalink.